Mankind has always been fascinated with tall structures, evidenced by the earliest known tower, constructed over 10,000 years ago. Aside from spiritual reasons such as being closer to the heavens, tall structures have always provided both practical and symbolic benefits. A tower's height proves advantageous in terms of sight and communication, and is frequently representative of the economic status of the owner. As mankind's engineering capabilities have developed throughout time, towers have continually grown in height. Differentiated from high-rise buildings in their design and usage, tall modern towers serve many purposes such as signal broadcasting and bridge support. The tallest, most well-known modern towers are all observation towers. Their height differential with surrounding buildings allows them to stand out from a distance and from above. Observation towers are powerful symbolic statements, inviting those from afar to come and view a city from above, in all its glory. 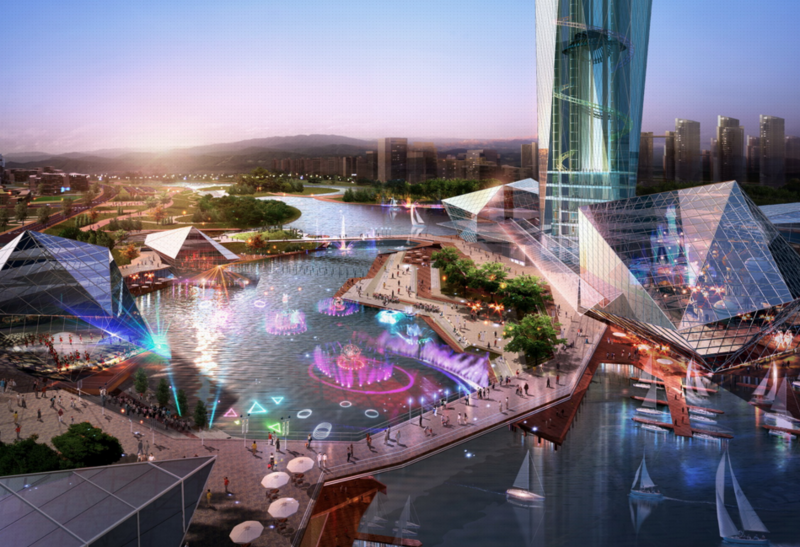 Like France with the Eiffel Tower or Japan with Tokyo Skytree, South Korea will soon extend an invitation to view their economic success and vibrant culture with Tower Infinity. 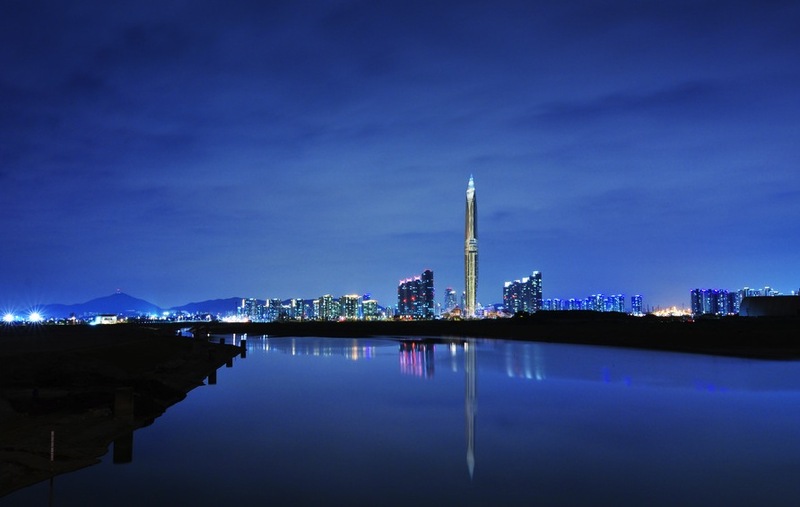 South Korea's quest for a landmark observation tower is being led by Korea Land and Housing Corporation, a state-owned enterprise responsible for the development, maintenance and management of land and buildings. They held a design competition that included 146 entries from 46 countries. 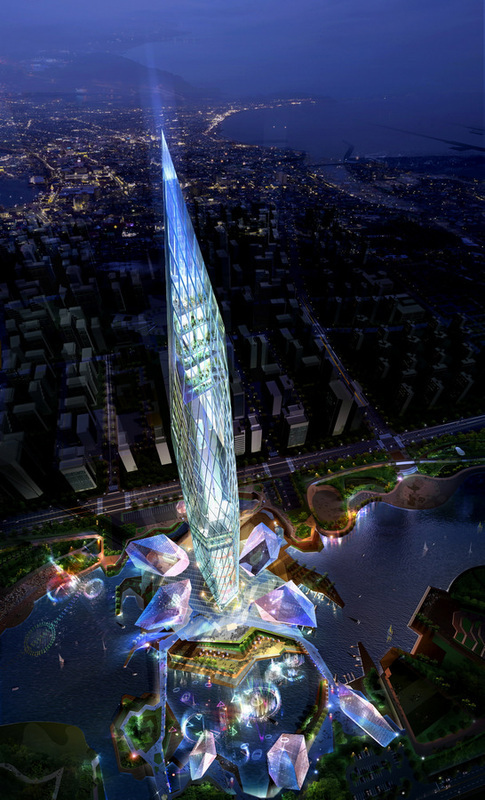 King-Le Chang & Associates was an integral part of the design team for the winning entry, Tower Infinity. 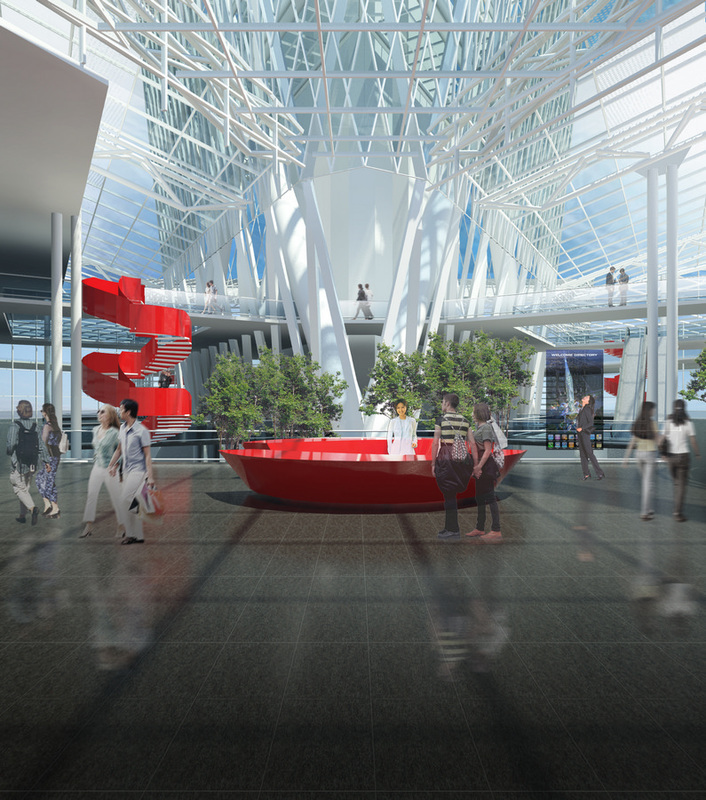 Tower Infinity's structural system is a more integral part of the architectural design than in most structures. 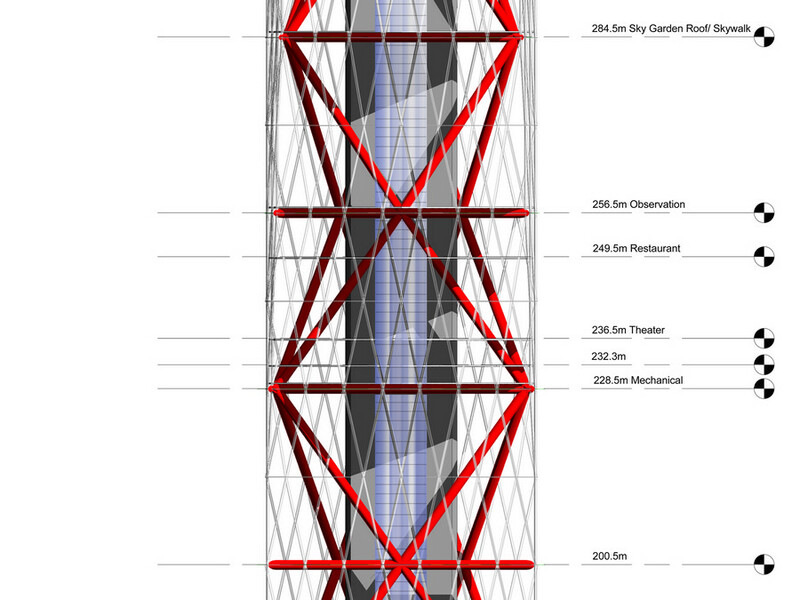 The architectural design is essentially defined by the innovative structural system, allowed by the unique usage requirements of an observation tower. 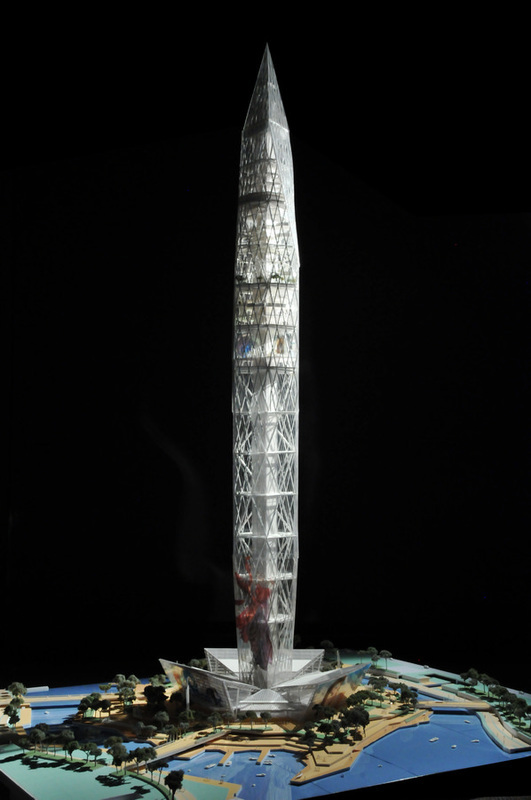 The construction cost will be reduced compared to a traditional structural system, and will also allow for a feature that aims to set Tower Infinity apart from other tall structures: a unique LED facade system. 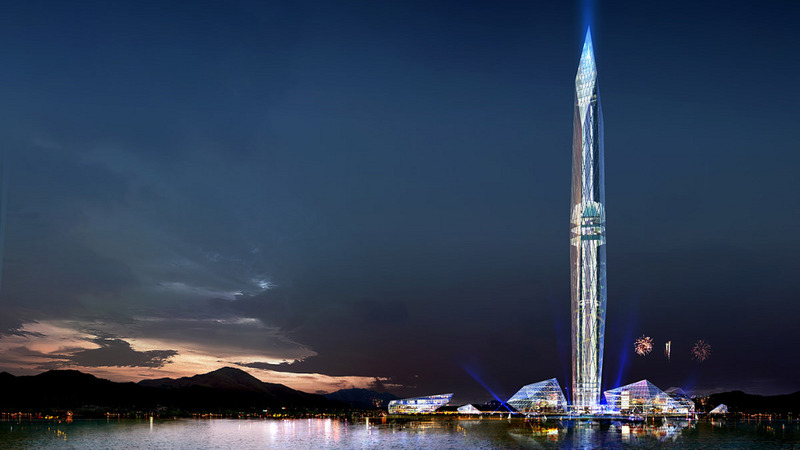 Rather than compete on height (at 453 meters tall, the tower will still be the sixth tallest structure in the world of any kind, and the second tallest observation tower), Tower Infinity sets itself apart through a system of LEDs and cameras. The LED facade system projects a real-time image of the view behind the tower, causing the tower to "disappear" from certain viewing angles. 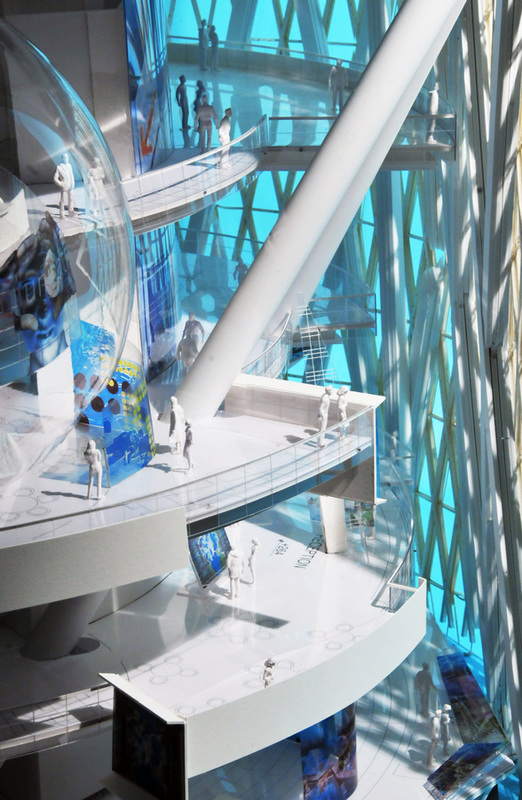 Tower Infinity also features a podium that will house retail stores and a water park for a complete entertainment experience. Tower Infinity has received significant media attention both domestically and internationally. Articles have been published by CNN, The Telegraph, The Wall Street Journal and Forbes. 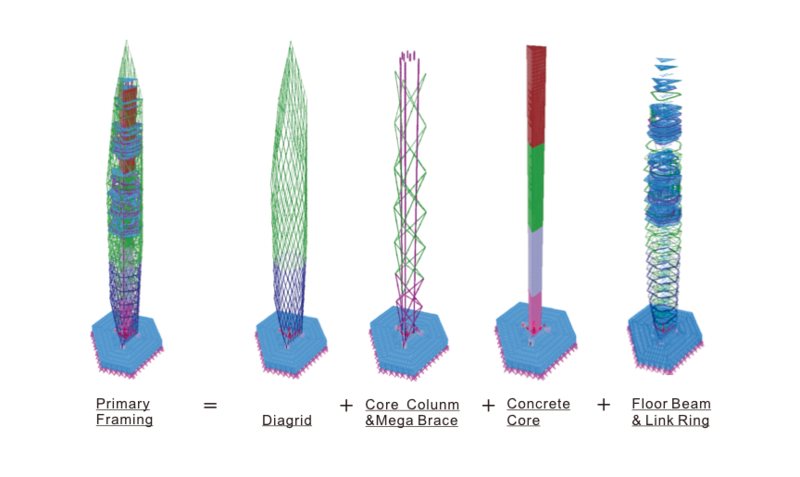 The Council on Tall Buildings and Urban Habitat (CTBUH) detailed the project's unique structural system. 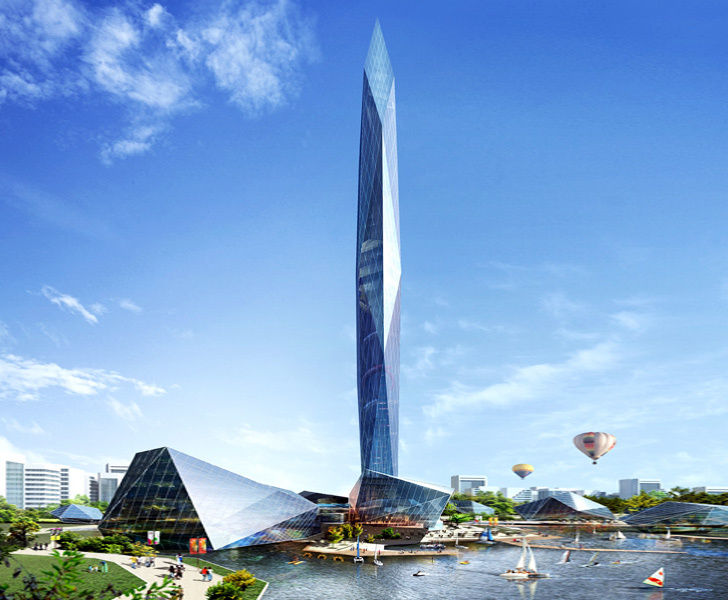 Tower Infinity is currently in pre-construction.